Are Wood Windows the Best Option for Your Home? Wood windows are traditional and durable, and they provide excellent insulation. Sections of wood frame windows are cut precisely in a miter that’s shaped like the box frame. 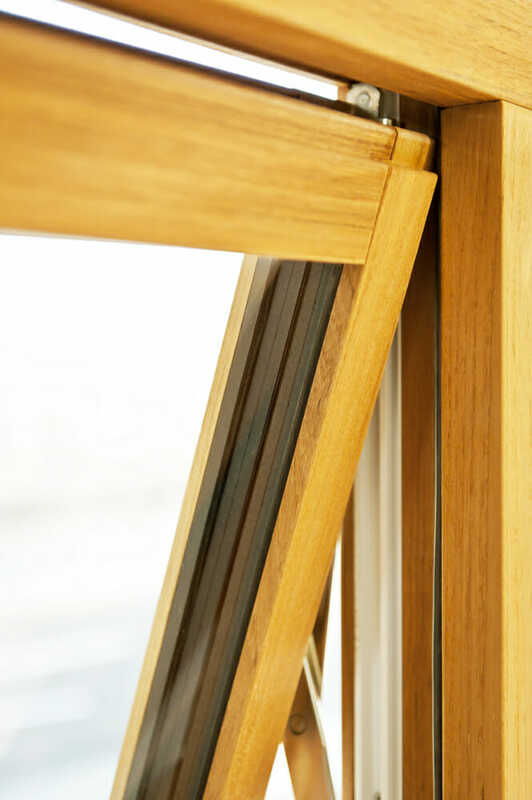 The muntins and sashes are all constructed from wood and milled and routed into the customized shapes for your windows. They are generally nailed, screwed, and glued together. Caulk is also used to help seal the sections of wood used to construct the frame. Here are some of the benefits of installing replacement wood windows. Aesthetic: Wooden windows have a traditional charm that looks great in older or modern homes. There are many different types of wood to choose from, and they can be painted or stained different colors to work with just about any design that you have in mind. Insulation: Wood is an excellent insulator, and wooden windows can be highly efficient when paired with quality insulating glass. Resilience: Wood windows aren’t susceptible to the expansion and contraction that vinyl and aluminum windows suffer from during temperature changes. While wood expands and contracts from moisture exposure, properly painting the frame will reduce this risk. Wood is durable and known for standing up to hard use. Hardwoods are particularly resilient and will hold up over time when well cared for. Wood windows are also less likely to lose their seal than vinyl or aluminum. Eco-friendly: Wood frames are a “green” choice since they can be reused, recycled, and sustainably sourced. Many can even be composted once the paint is removed. Price: Wood windows are one of the most expensive options on the market today, though the price depends on the type of wood used. Hardwoods tend to be more expensive but they are also the most durable. Due to the higher cost, buying wooden window frames should be considered a long-term investment. When shopping for a wood window frame, consider the type of wood that you want. For example, pine is one of the most affordable types of wooden windows, while mahogany is one of the most expensive because it suffers less from expansion and contraction than other wood varieties. If you plan to paint your wood windows, you can save yourself a lot of time and trouble by choosing wooden windows that come pre-primed. 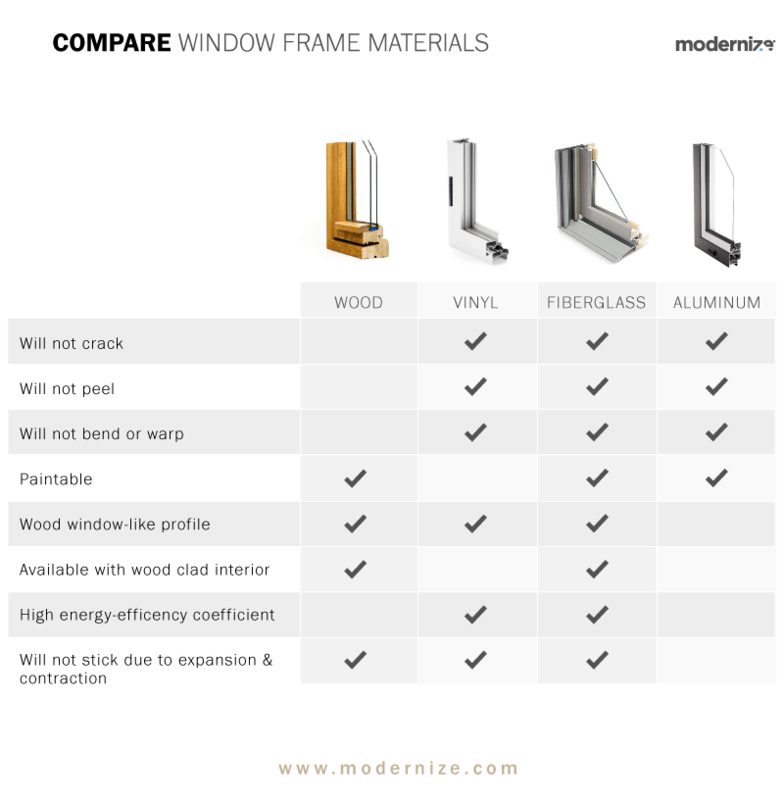 They generally aren’t any more expensive than bare wood windows and will save you time during the installation process. When buying wooden replacement windows you’ll have to decide between windows designed for new construction versus replacement windows. Most of the time, the replacement windows will save you time and money, unless you are having windows put into a brand-new house that doesn’t have windows yet. Replacement windows lack the nailing flange, so they are designed to fit into an existing window frame. These windows are smaller and more affordable, and they can be installed in less time. New construction windows are only desirable when windows are being put in for the first time or when the old frame rotted out or needs to be replaced entirely. As mentioned above, wooden windows are extremely reliable and aesthetically pleasing, but they are known for rotting or suffering the effects of weather over time. However, this issue can be solved by aluminum or fiberglass cladding. An aluminum or fiberglass exterior is used on the windows to help protect the wood from harsh weather conditions. This helps keep the windows in good condition for longer while preserving the charm of wooden windows on the inside of the home.